Substitutions are a standard part of life. We substitute onion rings for fries. We substitute Splenda for sugar. We substitute texting for talking. We all remember causing mischief when a substitute teacher walked into the classroom, or at least I do. 😉 And some of you may even remember when the von Erichs and the Freebirds would face off in wild wrestling melees called tag-team matches. I would watch from the edge of my seat as an injured Kevin would stretch out his hand to tag up with Kerry to get a fresh sub into the fight, and Kerry would explode over the ropes to change the flow of the match. But, there are some things for which there are no substitutes. Each of us have been created with a “God-sized hole” in our souls. It’s a missing piece in the puzzle of life that leaves the picture incomplete. Try as we may to fill the hole, we always come up empty on the other side. There is no substitute to the presence of God to bring wholeness to our life. Nothing else has ever satisfied, and nothing else ever will. 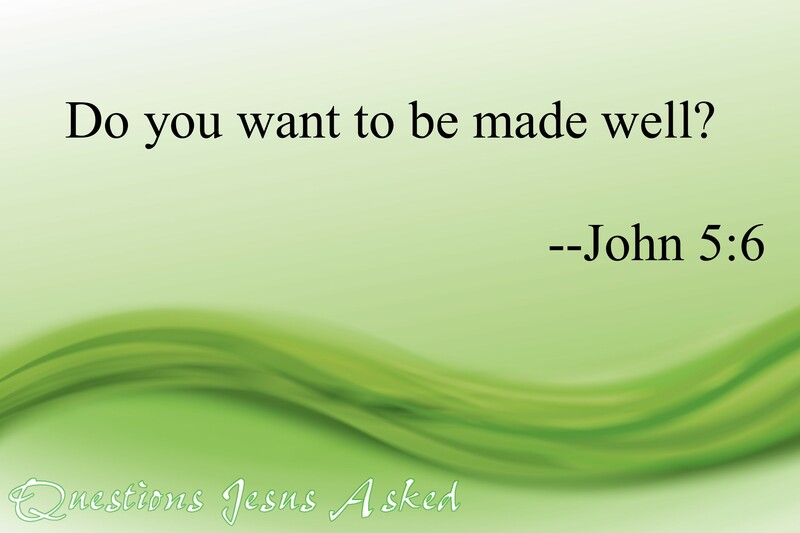 In John Chapter 5, we read the story of man in need of the wholeness Jesus has to offer. Jesus never asked a question for His own benefit. Through this question, we see the invitation to abandon the substitutes and discover wholeness through the grace of God. When you don’t know what you want, it makes it very hard to get. When you want what you don’t need, you’ll pass right by the solution to grab hold of a substitute. I want to be helped. I need someone else to take responsibility for my situation. I want to be heard. I want sympathy more than solutions. I want to be happy. I chose to settle for the best of a bad situation. I wanted to be healed. The pain of life slowly eroded my hope for real wholeness. The reality is there is no substitute for the wholeness Jesus offers. Many of us have wasted so much time looking other places for other solutions. And we have come up empty every time. His question today is your invitation to experience the joy of life according to God’s design. Click here to discover more about the wholeness Jesus offers you today. Click here to read stories of those who have been made well through the power and grace of Jesus. Night of Worship and Art Fusion coming next Wednesday, June 2! The party will start at 7:00pm. Family Fun Night is scheduled for Wednesday, June 9, at 7 pm. You are invited to join us for this entertaining evening of softball, homemade ice cream, and fellowship at Newman park. Sunday, May 30, we will conclude our “Questions Jesus Asked” sermon series. Join us for this final exploration of the questions of our Lord. Every story has potential for a happy ending. Every story has a villain. Every villain is creating conflict. Your life is an amazing story. Your story is continuing to unfold. Your story is interwoven with the stories of others. You are not the author of your story or of theirs. You can play a part — but you cannot write another’s story. Let God write something amazing. “The Speck of Sawdust,” Pastor Eric’s message from May 16, is now available online. Click to listen. Emmanuel Fellowship has a great blogging community. Follow these links to find out what our friends have been posting lately. Family Fun Night is scheduled for Wednesday, June 9, 7 pm. You are invited to join us for this entertaining evening of softball, homemade ice cream, and fellowship in the park. We have 135 Question Jesus Asked posted on the blog. Leave a response and let us know which question most captures your heart. The fact that you are reading this article is evidence that you are, or have recently been, connected with the U.S. Power Grid. Right now, through over 180,000 miles of transmission lines, power is being supplied to the millions of homes in the United States. With all of our advances in the technology to generate electricity, it is baffling we have not developed a way to store large quantities of electricity for mass distribution. Electricity must be generated on demand for public use. This limitation of our electrical power grid illustrates a vitally important spiritual truth. We can generate energy through relationship with God, but we do not have long term storage capacity. If we desire to walk in the strength and grace of our Lord, we must stay connected to Him as our power source. We do not have the battery capacity to neglect relationship with God and expect to remain vibrant and effective. If you would like to learn more about staying connected with God’s power grid, click on the podcast link below. Power Grid will be available on podcast soon. 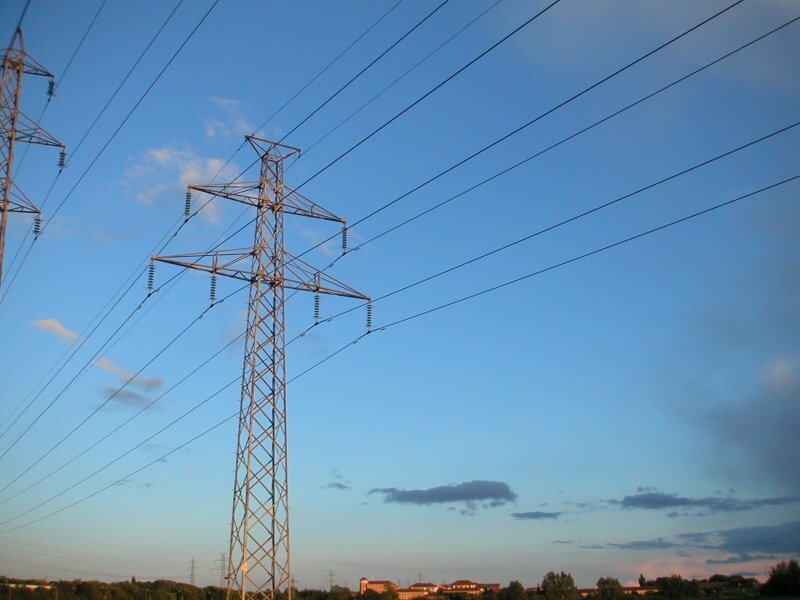 Click here for the full wiki article on the U.S. Power Grid. Click here to see the Sweetwater High School coaches have a dynamic encounter with power as they get tazed in a law enforcement demonstration. We invite all new believers to participate in the upcoming Baptism Celebration this Sunday, May 16, 6:00 pm, at First Christian Church. Please make plans to attend one of our Baptism classes as well. Contact Pastor Eric for more information. To Save A Life free movie night! Wednesday, May 15, at 6:30 pm in the High School Auditorium. Youth and parents are invited to experience this amazing and in touch film. One of the key distinctions between developed and undeveloped nations is the adequacy of sewage removal and treatment. The capacity to properly deal with sewage creates the environment for growth, health, and prosperity. Proper sewage removal is equally essential to the human soul. It is intriguing that this great river flowing from the temple has the capacity to bring life to every place that it flows, except to the swamps and marshes. The distinction of the swamps and marshes is their lack of an outlet for the river. 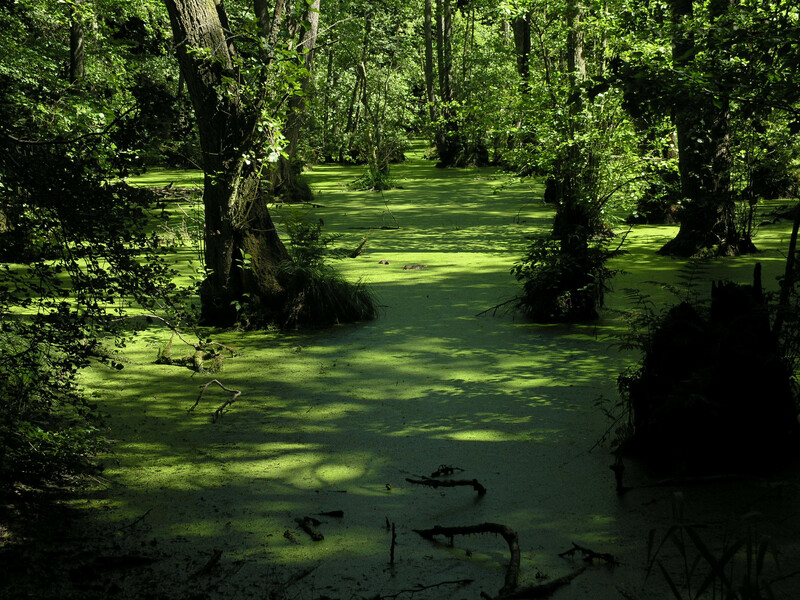 Swamps and Marshes have a way for the river to flow in, but no way for anything to flow out, and the water there cannot become fresh. Do you have a way for things to flow out of your life? What are you doing with the years of emotional sewage that have developed in your soul? The sewage is not the problem. Everything living creates sewage of one type or another. The problem occurs when the sewage is not properly dealt with and it becomes toxic to all other life around it. The capacity to properly deal with “the stuff” of life creates the environment for growth, health, and prosperity. May you find grace to flush what needs flushing today. If you are a member of EFC, one of the best ways to learn to do just this is to attend a Spiritual Freedom Retreat, which will be held May 14-15. Space is limited, so register today at www.efcsweetwater.com by clicking on the “Freedom” icon. To learn more about how to F.L.U.S.H. away the heartaches of life, listen to Infrastructure: Sewage System. Click here to learn more about the History of the toilet. Night of Worship this Wednesday, May 5, from 7:00 pm to 8:00 pm in the sanctuary. Join us for a wonderful evening of worship, art fusion, and family time. Youth Volleyball Night at Sonic, Wednesday, May 5, from 6:30 pm to 8:30 pm. Make plans to participate in the National Day of Prayer, Thursday, May 6. The Prayer Center will be open from 7:00 am to 7:00 pm. A special time of prayer for kids will be available in the church sanctuary from 5 pm to 7 pm., as well. Both events are come-and-go. THIS Saturday is our Garage Sale for our kids grades 2-5 who are going to camp (due to the rain this past weekend.) If you’d like to donate some items, please drop them off this Wednesday evening or contact Pastor Lolo at peterandlorinlopez@gmail.com to arrange a different drop-off time. We invite all new believers to participate in the upcoming Baptism Celebration, Sunday, May 16, at 6:00 pm at First Christian Church. Please make plans to attend one of our Baptism classes as well. Contact Pastor Eric for more information. Next Sunday, May 9, is Mother’s Day! We look forward to an opportunity to honor the wonderful mothers in our congregation. This Sunday will also be the conclusion to our Infrastructure sermon series.